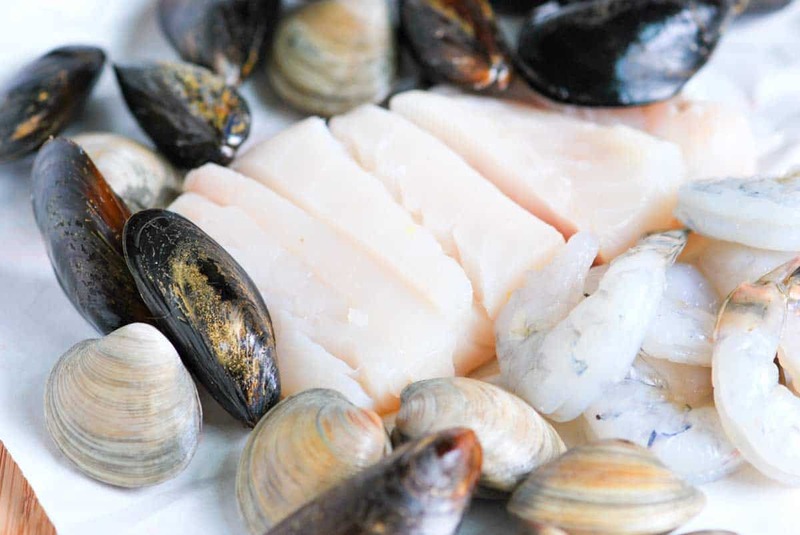 How to make homemade seafood stew using our simple homemade fish stock, fish, mussels, shrimp and clams. 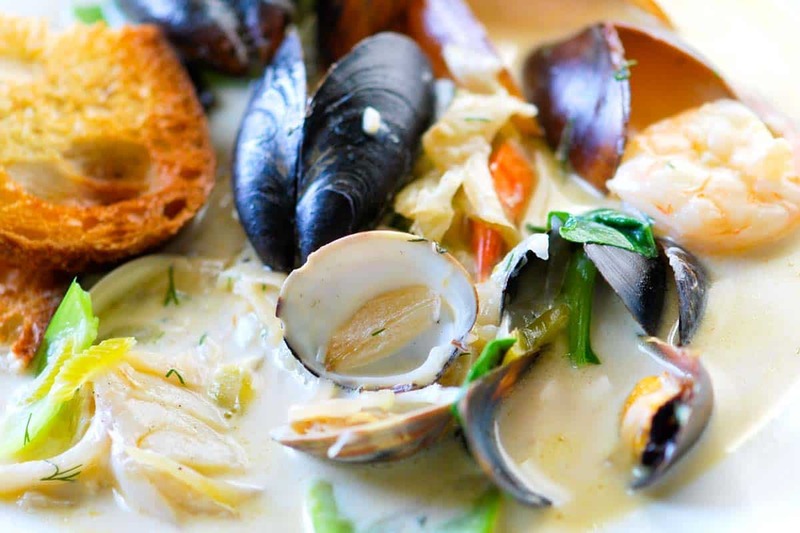 Jump to the Seafood Stew Recipe with White Wine, Garlic and Fennel or read on to see our tips for making it. YOU MAY ALSO LIKE: How to make perfect steamed mussels in a broth made with white wine, garlic, and shallots. 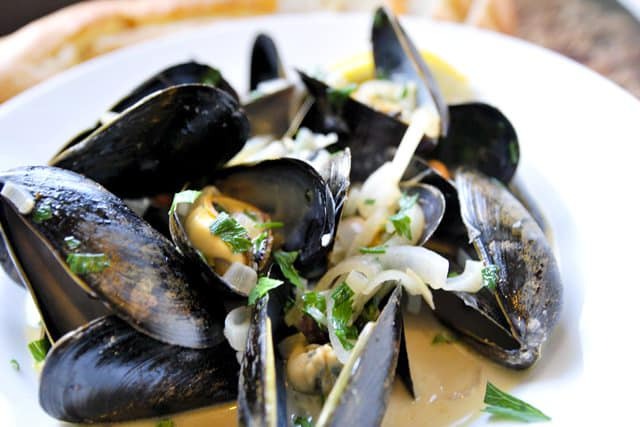 Jump to the Steamed Mussels Recipe with White Wine. Making your own homemade fish stock might sound daunting, but trust me it pretty easy. In fact, it’s faster and cheaper than homemade chicken stock. It is also much tastier than anything you can buy at the store. To make fish stock from scratch, you will need fish bones. To buy them, walk up to the fish department and ask for some. 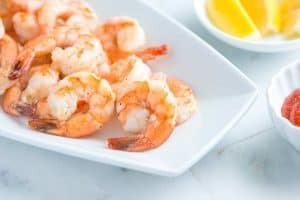 The bones used for this recipe cost about $1.00 per pound. 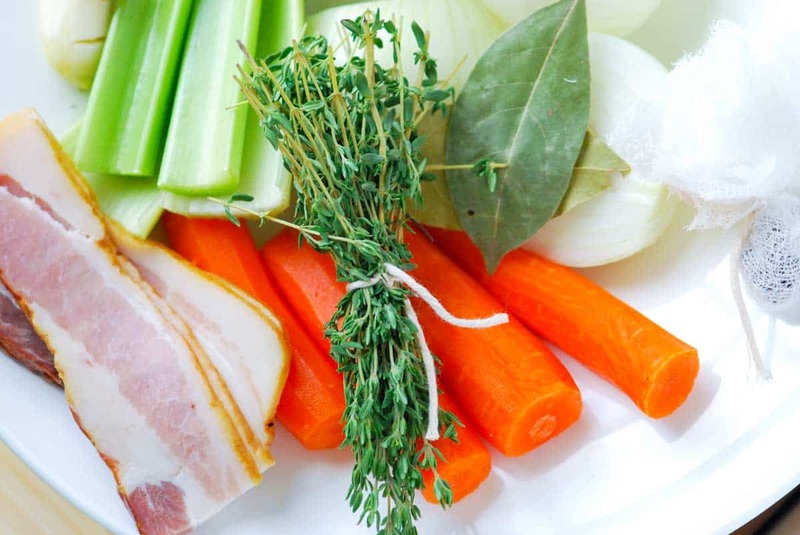 In addition to the bones, we add bacon, onion, carrots, celery, lots of thyme, bay leaves and peppercorns. 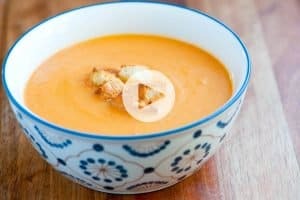 The stock takes about 45 minutes from start to finish and it can be made ahead of time. For the stew, we use the stock as a base then add lightly seared cod, onions, fennel, garlic and shellfish. It all cooks very quickly. Just before serving we wilt in some greens and swirl in a little cream. It’s luxurious. YOU MAY ALSO LIKE: How to cook swordfish on the grill with coriander and lime. 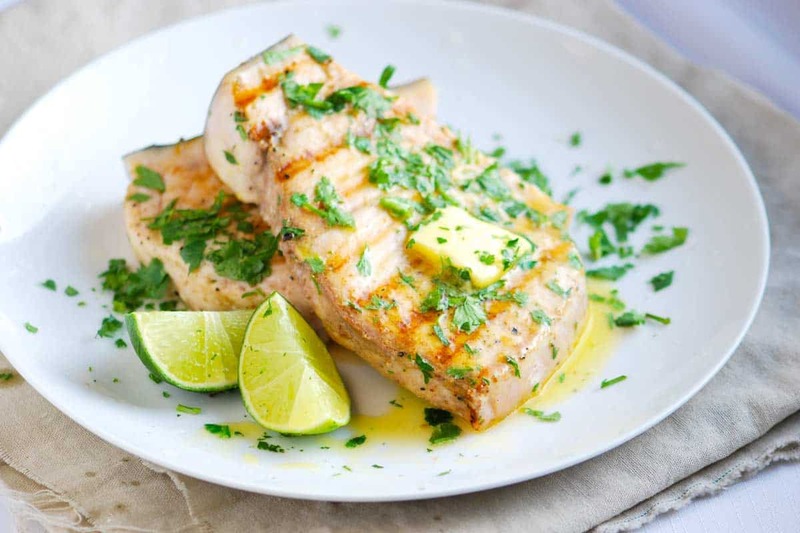 Jump to the Grilled Swordfish with Coriander and Lime Recipe. The homemade fish stock recipe below will make approximately 10 cups of fish stock. You will need 4 to 5 cups for the stew. The stock can be made in advance and refrigerated up to 2 days or frozen for several months. In a large soup pot or Dutch oven, cook the bacon over medium heat until fat has render and the bacon is crisp. Transfer the bacon to a plate, but leave the fat. (Use bacon in another recipe or as a cook’s snack). Add the chopped onion, carrots and celery to the bacon fat. Cook, stirring often, until the onions begin to soften; 6 to 8 minutes. Add fish bones, shrimp shells and tails, garlic, thyme, bay leaves, peppercorns, wine and 10 cups of water. Bring to a simmer. Cook, at a low simmer for 30 minutes, removing any scum that rises to the top. Strain then use immediately or refrigerate in a tightly covered container up to 2 days or in the freezer for several months. In a wide pot or Dutch oven, melt the butter over medium heat. Add onion, fennel and celery. 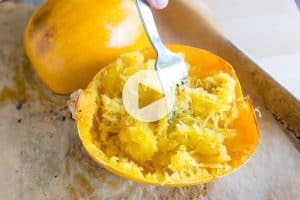 Add a pinch of salt and cook, stirring often until softened and sweet, 6 to 8 minutes. Add the garlic and cook 1 minute then stir in 5 cups of fish stock. Bring the stock to a simmer then add the clams cover, and cook for 3 minutes. Meanwhile, season the shrimp and fish with salt and pepper. 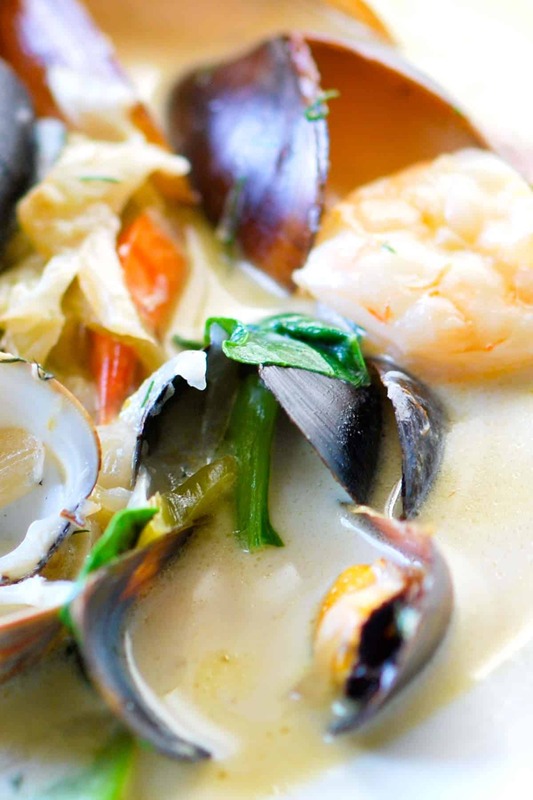 Stir in the shrimp and mussels. Arrange the fish on top of the stew, cover, and simmer until shellfish opens and the fish and shrimp are firm and opaque, about 5 minutes more. Stir in the greens and cook until wilted, about 1 minute. Remove the pot from the heat then swirl in the cream. Taste for seasoning and adjust with more salt and pepper. Serve divided between bowls with bread for dipping and lemon wedges on the side. Jazzing up pre-made stock would be great 🙂 Let us know how it turns out!